Decorate your room in a snap with these magnetic numbers. Classic design adds flair to your room and can be coordinated with similar products for a creative classroom theme. Strong, durable construction prevents being damaged from regular use to provide a lasting display. 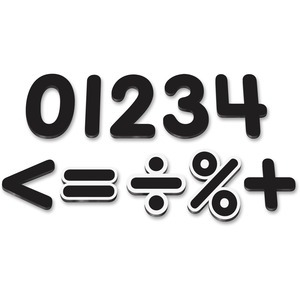 Numbers are perfect for use on doors, desks, shelving, bins and more.